I was frustrated by my inability to get the board going and the Mystery Component. Many thanks to those who gave their input on what it might be and possible solutions. I'm going to try adjusting the component and see what happens but I now have a Plan B just in case. The biggest problem I was having was that I didn't have a schematic for this keyboard. 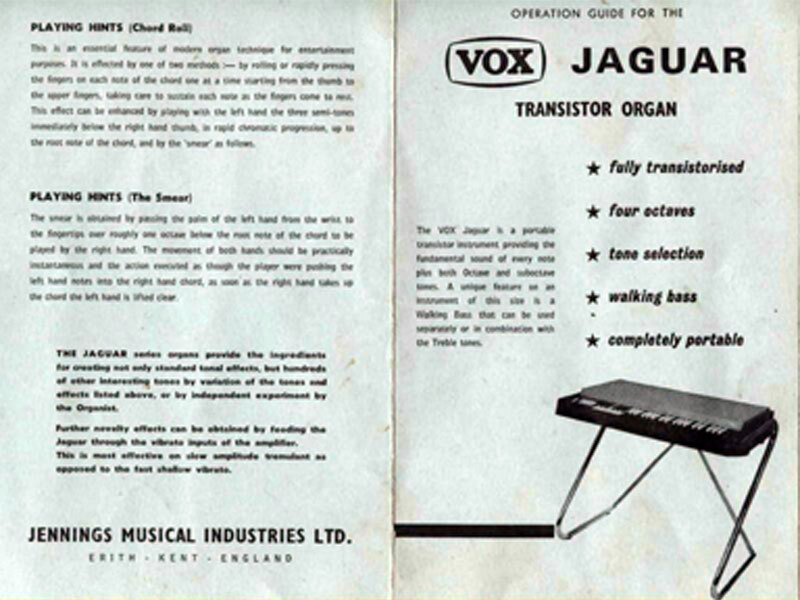 Search as I might I couldn't find anything on the GEM Model P. And then last night it dawned on me: GEM was the original builder of a clone of this keyboard, the Vox Jaguar. Doing a search for a schematic for the Jaguar yielded a PDF of the entire schematic. 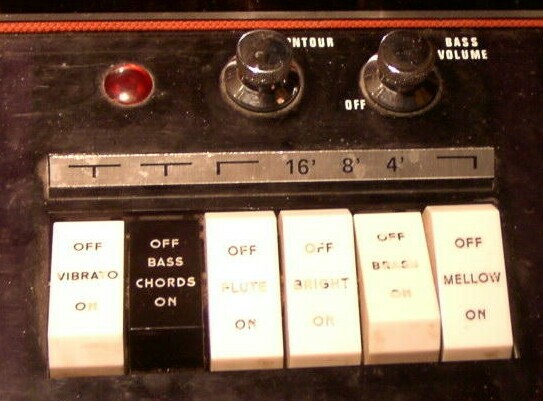 Wouldn't you know it though, while all the other boards in the keyboard are the same, this one, the one that controls the voicing, is slightly different. This is a minor issue however. Since I have a full schematic I can build this board from scratch, and it looks like all the hookups are the same. I have to add a potentiometer for the Contour control and I might have to rewire the rocker switches but other than that it shouldn't be too bad.